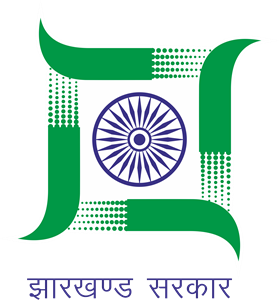 District Godda came into existence as fifty fifth district of undivided Bihar on 25th may,1983 and became the 18th district of Jharkhand State that emerged on 15th November 2000. Prior existence as district it was a Sub-Division of Santal pargana district since 1855. In absence of basic infra-structure the district is still under developed. After creation of Godda Judgeship Sri Madan Prasad was first DistrictSessions Judge on 26th April1986. Godda district falls under Santal pargana Division and has one Sub-Division Godda and nine blocks- Boarijore, Godda, Mahagama, Pathargama, Poraiyahat, Sunderpahari, Basantrai and Thakurgangti.Eleven Police Station- Godda (T), Godda (M), Basantrai, Hanwara, Mahagama, Pathargama, Boarijore with Lalmatya (O.P), Rajabhitha, Poraiyahat with Deodanr (O.P), Sunderpahari, Meharma, Belbadda and Thakurgangti (O.P). It has one single town and 2304 villages falling under 172 panchayats .Out of the 2304 villages 1622 are chiragi and 682 be- chiragi. The municipal area also covers up 7 chiragi revenue villages besides the urban area . The administrative headquarters of the District is Godda. Total of 1206 revenue villages are pradhani villages.